I went to the South Australian Museum with my Mum today. 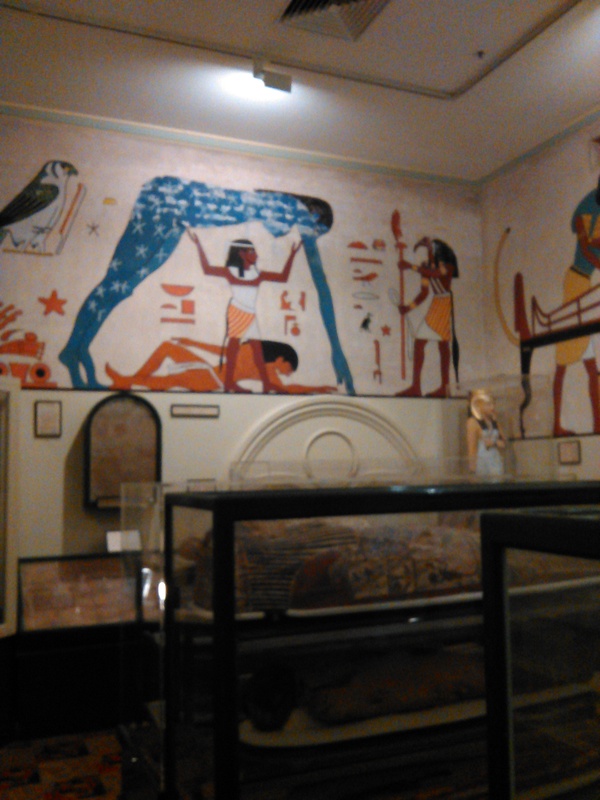 One of our favourite parts is the Egyptian Room. Mum remembers the room and the wall paintings from when she was little and we wondered when they were done. 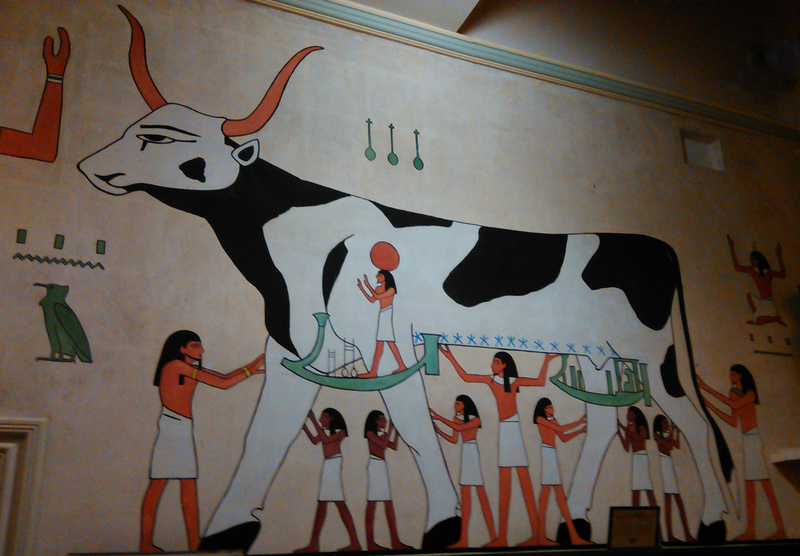 Huge colored wall drawings tell the history and mythology of ancient Egypt. The sky goddess is shown as a woman with a blue body sprinkled with stars, being upheld by a god. Below this a man representing the earth is shown mourning for the woman the gods have stolen from him. 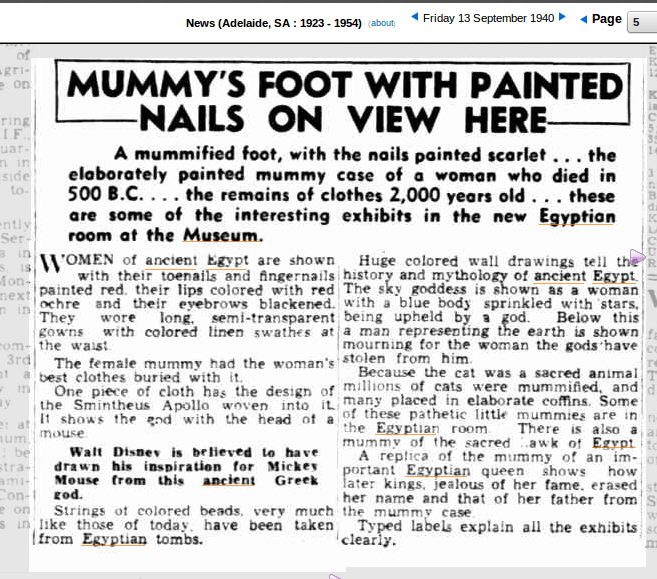 This is a quote from the below article describing the sky goddess in my photo, so, going by this article, the paintings were done some time in 1940. 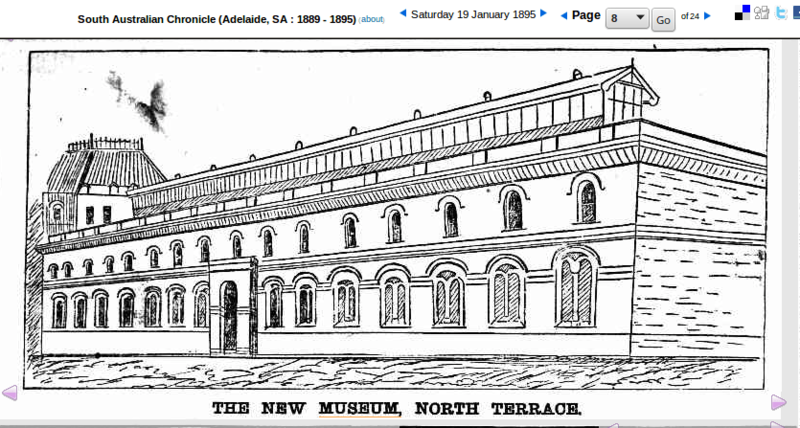 This building still exists and has had little alteration but for an extension on the front.